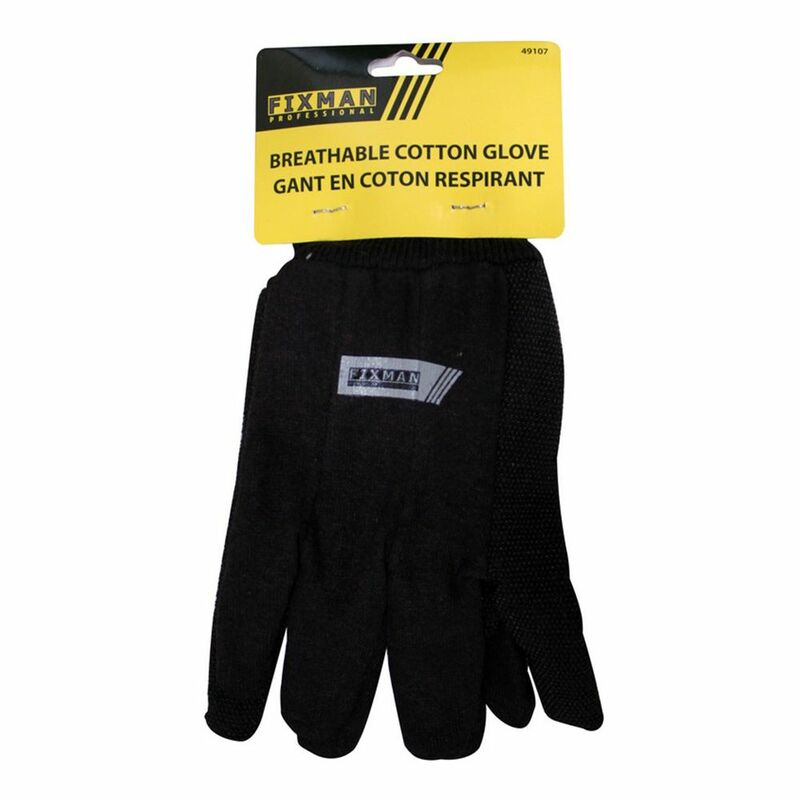 The Fixman Cotton Gloves are versatile for painting, construction and maintenance work. Lightweight, breathable cotton and comfortable fit. Includes: 1 pair. Dig It<sup></sup> High5 is an innovative utility/garden glove with a patent pillow-topped protector. Sewn into the inside of each finger, Dig It Handwear provides the ultimate protector for DIY projects, yardwork, sports and gardening. The breathable, washable, recycled fabric can be easily laundered and Dig It Handwear ensures comfort with its' fitted design. Available in 4 sizes...Dig It gives you the freedom to "dig deep". The men's full grain cowhide glove is naturally durable breathable and abrasion resistant. It is comfortable enough for all day wear and the keystone thumb design offers great dexterity and a snug fit! Heavy-duty cleaning with harsh chemicals requires a tough glove that provides special hand protection. The Firm Grip Long Cuff Neoprene Gloves get the job done and keep hands comfortable too with a soft cotton flocked lining. Milwaukee Performance Fingerless Work Gloves are designed to provide Ultimate Durability and All Day Comfort. Featuring reinforced and padded palms for increased durability and cushioning, Milwaukee Work Gloves will provide best-in-class durability for the most demanding tasks. The fingerless design provides ultimate dexterity when handling small objects and the hook and loop closure ensures a secure fit. In addition, a breathable lining and built-in terry cloth sweat wipe ensure the gloves remain comfortable enough to wear all day. Cotton Gloves The Fixman Cotton Gloves are versatile for painting, construction and maintenance work. Lightweight, breathable cotton and comfortable fit. Includes: 1 pair.